I joined SCBWI December 2010. Stepping into the society of writers and illustrators was like stepping into a foreign country. It seemed everyone knew so much and assumed that I knew just as much. I was in the land of Oz. I made my first blunder when I passed out my story "Adolfo and Athena" for one of the critique groups to read. Rather than shutting up, absorbing all the comments, and being thankful, I defended my writing decisions. Silly me. I know better now. I received great advice from Sally E. Stuart's Christian Writer's Market Guide. The book suggested that I attend a conference for writers. I dutifully signed up. I also signed up for a critique of my story. My precious story - I read and reread and worked and reworked my story. Until at last, I had a finished product. 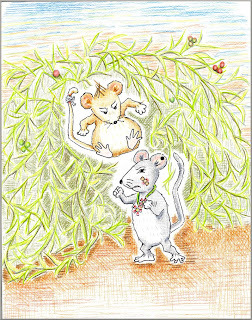 Then, I sent it off to have it critiqued by one of the professionals at the conference (a picture book author). I couldn't wait for the day of the conference. What words of wisdom would the great wizard say. I was so excited. The time came for my critique. I sat calmly ( the reserved adult on the outside/ giddy for Christmas on the inside) before the picture book author. He looked pained. "What were you thinking?" he asked me. The material I had handed him was too violent for a picture book. He shook his head and told me he had read the first page and quit. This could never be a picture book. I had brought the poisoned apple to Oz. I sat stunned. The story was good. It was clever. It was funny. 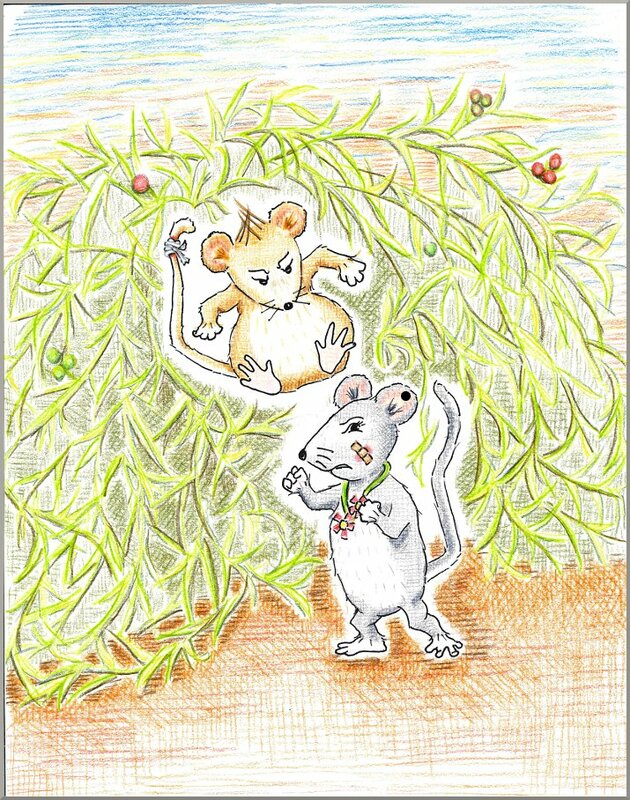 Yes, there was a scary moment where the cat caught the main characters (2 little mice), but they had tricked him - cleverly turning the whole situation upside down. I left crushed. He hadn't even bothered to read the story. He hadn't given it a chance. It was later that I realized my mistake. Because I am a writer/illustrator, I had illustrated the story. Thus, I thought I had written a picture book. In reality, I had written a storybook. Oh, ignorance! So, I learned 2 more things as a writer. First, a picture book is for little ones. A storybook is the next level up. Second, IF I ever critique someone's work for pay, I will read all of what they give me and try to understand what the heck they were thinking when they wrote it! 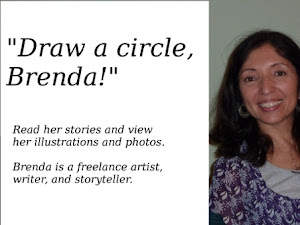 I have been an at home writer and illustrator since the Fall of 2011. The folks at my critique groups have given me lots of sound advice. I think my story is ready for the masses. "Adolfo and Athena" will go to Kindle Direct Publishing this winter. Let the true critics decide whether my story sinks or swims. It's so painful, isn't it? When something you've worked so hard on and felt so good about gets crushed by a critiquer (agent/editor/reviewer/customer....!) And really, even if it wouldn't work as a picture book, it seems like the critiquer should have read the whole thing, told you what you did well, seen the whole picture - not just said it won't do as a picture book. Maybe it won't, but that doesn't mean it's worthless or that you can't learn from the experience if taught. Apperantly, pictures on Kindle books is possible. On Kindle E Ink devices that currently have a black and white screen, images will appear in 16 shades of gray for contrast and clarity. Other Kindle devices and applications, such as the Kindle Fire and Kindle for iPhone or PC, will display images in color. The Kindle file format internally supports JPEG and GIF images of up to 127KB in size. This is double the previously-supported maximum of 63KB, and provides for richer nuances in images, particularly for large images, or content with gradient patterns. An HTML image with an aspect ratio of 9 to 11 automatically displays with maximum screen coverage. Wow! I had no idea! Good to know!